Owing to the expertise of our diligent technocrats, we are able to manufacture, trade and supply our clients high gradeMini Bulk Milk Cooler. We Majorly Deal in Delhi , Ghaziabad , Gurgoan , Meerut ,Sonipat , Alwar, Jaipur , Sikar, Churu, Nagaur , Bikaner , Sirsa , Udaipur , Bhilwara , Kota , Bharatpur , Gwalior , Agra , Kanpur , Lucknow , Allahabad , Varanasi , Gorakhpur , Motihari , Patna , Muzzafarpur , Begusarai , Muzaffarnagar , Patihar , Dhnabad , Bilaspur , Satna , Rewa , Gaya , Ranchi and also Deal All over India . 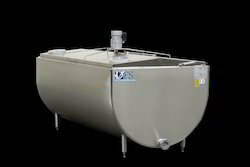 We are offering Milk Cooler open vertical that can be used for the storage and cooling of milk. 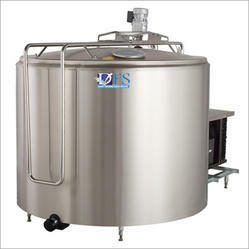 We are offering Bulk Milk Cooler which is mainly used in dairies for storage and cooling of milk. In order to ensure quality, offered cooler is appropriately tested on various parameters by our experts. 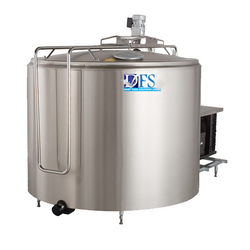 Owing to the expertise of our diligent technocrats, we are able to manufacture, trade and supply our clients high grade Mini Bulk Milk Cooler. The provided cooler is manufactured under the stern vigilance of our skilful engineers at our well-equipped manufacturing unit making use of superior quality components and contemporary methodology as per the predefined industry standards. In addition to this, our offered cooler is widely used in milk processing unit for cooling milk in a large quantity. We are offering Bulk Milk Cooler Open Vertical that can be used for the storage and cooling of milk. We are offering Bulk Milk Cooler Open horizontal type that can be used for the storage and cooling of milk. 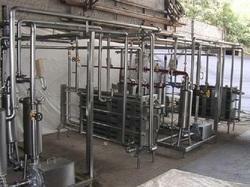 We are a leading manufacturer and exporter of Milk Chilling Plant. You can chill the milk instantly & maintain milk quality at 4°C. The most important part of a collecting centre of milk is the milk chiller. When the milk is extracted, it is at around 37°C. If the milk continues to remain at room temperature after extraction, bacterial growth will affect the quality of the milk. 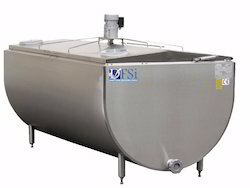 The milk chilling plant is meant to cool down the milk temperature to 4°C in a prescribed time.